Depends upon the scope of the project. Swati helped us with our brand new investment property project. 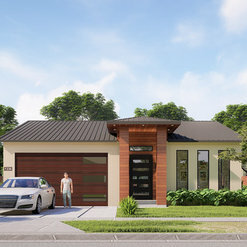 She is a great professional and provides both architectural and design services which comes in really handy as she understands both aspects very well. She came with great ideas and suggestions and was very accessible throughout the project. She helped with the whole county/permit process and coordinated with the structural/civil/surveyor etc to make the whole process very smooth. During the construction phase she followed up on various steps to make sure that everything was proceeding per plan. As part of her interior design services she helped in choosing most of the interior finishes by visiting multiple stores with us. We highly recommend Swati for her Architectural and design services and hope to work with her in our future projects. Thank you Anuj, for the great review! Looking forward to see the completed project. Swati is a very professional, knowledgeable and creative designer. 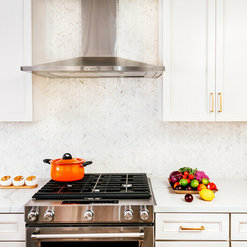 I have known her for few years now and have been working with her on few of her projects when she needs cabinetry for kitchen or other rooms of the house. 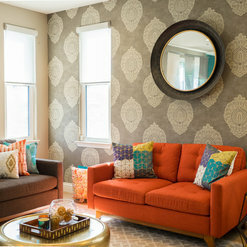 Her vision is very clear and she has a great sense of space, material and color. It’s always a pleasure to collaborate with her. I highly recommend her. Thank you Roya, for the review! It's always pleasure working with you on cabinetry. We wanted to add a bathroom and expand our living hall. Swati did awesome job in remodelling our old bedroom in bathroom and walk-in closet. She added new master bedroom with vaulted ceiling. 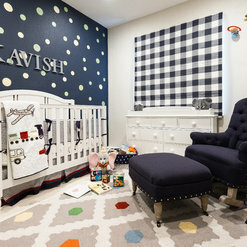 We were amazed the way she designed the master bedroom suite. Our living hall was small, she expanded our living hall and helped us in having formal dining room. She completely changed the look of the house and I can confidently say the entrance of our home is one of the best in the whole street. Swati is very responsible, punctual and dedicated to her work with high integrity. She designed our home and also helped us in permit plan. She took care of resolving all the queries raised by permit checker. Our contractor has queries at multiple phases of construction and she was always available to resolve his queries and that helped in the expedite construction. She has visited our home multiple times to check the quality of construction and guided us with her feedback. We are grateful that we got a chance to work with you on our home project. Thank you so much for your kind words, Krishna and Nidhi! I hope you enjoy your new space! Swati is a true professional when it comes to design and is always open to take inputs and go to any depth to pick out the perfect pieces to complete the design puzzle. She is very meticulous, diligent and always stays on top of things. Although she had couple other clients at the same time as us she always found a way to make enough time for all. She is super responsive and any idea we described to her with an abstract image in our mind she would instantly respond back with a picture of exactly what we wanted and how we could enhance on that! Overall we had a wonderful experience working with Swati and I would recommend her without a blink of an eye! Thank you so much, Akshay and Kavan! What a pleasure it has been to work with you guys. I hope you enjoy your new space! 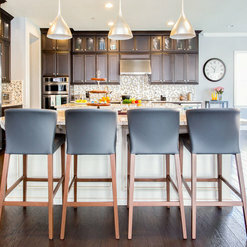 We engaged Swati for the remodel project of our house that required structural change, space designing, architecture and upgrade of our kitchen, bedrooms, stair area, baths, front porch, and buildout of deck. This also required getting permits from the city and coordination with the structural engineering team. The project took about 6 months to complete. Working with Swati was amazingly great and she helped us through the entire project lifecycle from suggestions on new good ideas, to designing interior space, to creative rehaul of the existing space, to hand holding with selection of project items, getting permit, providing detailed designs for interior decor, tiling, painting etc. She was always energetic, fresh on ideas and taking us through multitude of options in the decisioning cycle. She is resourceful and many a times stepping up beyond what we had scoped for. Sunil (my spouse) and I had a great experience working with her and particularly having her guidance throughout in seeing our project to completion. We are very happy with where we stand on the upgrade project and do thank her for all the support and professionalism. Thank you Swati. Thank you, Sugata and Sunil for kind review and be supportive throughout the process! Your house looks amazing. Enjoy! 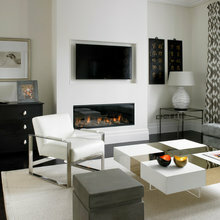 We consulted Swati for the interior design of our home. She is incredible to work with, and is flexible & open to incorporate our suggestions/ideas in her design. She recommended showroom for us to shop for our furniture & was patient enough to spend approximately 3 hours in helping us select the furniture pieces. She is also very prompt in responding to our queries regarding the design. Swati will always be our first choice for our upcoming home projects and we will strongly recommend her to our family & friends. Thank You, Swathi for the great review! It's a pleasure working with you guys on this project and can't wait to see the final pictures! We have worked with Swati and her clients for many years, and this partnership results in a successful design and a more engaged homeowner. Swati has a depth of design that covers many levels and provides excellent customer attention. Thank you, Swati, for continuing to collaborate with us. Thank you. It's always great to visit the showroom and explore the amazing finish selection. 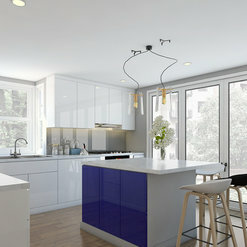 Swati is an exceptionally smart, hard working and professional Interior Design firm. 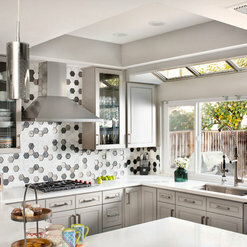 They are constantly on the forefront of trends in the industry and provides excellent customer service. Their attention to detail, brilliant design ideas and understanding of client needs helped bring to life many diverse and fantastic projects. 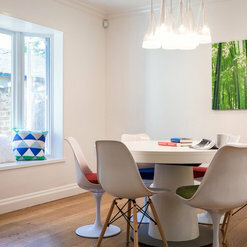 I highly recommend Proposed Plan as your destination for your Interior Design needs. Thank you for the review! It's always fun to work with you guys. 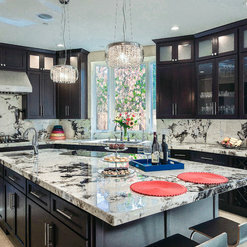 We recently worked with Swati for our Kitchen/Family Room and first floor design/remodel. Our project was a fairly complex one as it included removal of a shear wall and complete remodeling of the kitchen/family room area around that. 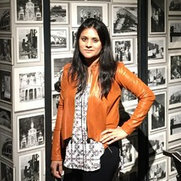 Swati worked with us tirelessly with early design prototyping, multiple iterations of space planning, architectural drawings, getting the permits, permit iterations, talking to the contractor and the structural engineering firms, finish material shopping, furniture shopping and everything else in between. The best thing we liked about Swati is her professionalism and and ability to always be on top of things. She is always available to answer your questions even if its a late night/ weekend/ short notice. Swati listens carefully and tries to come up with a plan that works for the homeowner's budget and taste. She will provide valuable feedback and input when needed. At the same time making sure our choices are also considered and ultimately let us make the final decision as homeowners. Swati also has many contacts in the design and construction industry and gave us many referrals when it came to choosing the construction and the structural engineering firms and each of them are top notch. Again, she gave only references because we as first time remodelers did not have much idea about the right people. She always made sure to give honest feedback of her contacts and we were impressed with the quality of referrals she gave us. I highly attribute our project's completion and success to Swati. Our kitchen would not have been the same if Swati was not involved in the project. She really goes above and beyond the scope of work and makes sure the homeowner is satisfied and happy at the end of the day and aims for High Customer Satisfaction as a professional . It was a pleasure working with Swati. 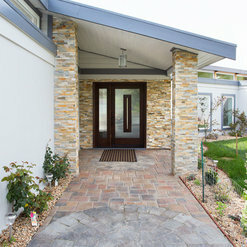 We would highly recommend Swati as an architect/designer for your next home remodeling project. We would definitely be working again with Swati for our future home projects. Sincerely, Ratul and Tanushree. Thank you Tanu, for this great review! LOVE the transformation and I hope you enjoy the new space! Thank you Murthy and Rima for taking the time and write such a wonderful review! 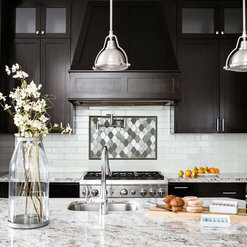 Commented: Backsplash and lovely pendant lightsThe backsplash was bought from Bay Stone Depot and pendants were ordered at online store. 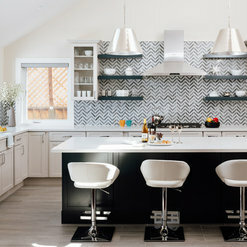 Commented: love the tiles,Hi Deborah, This chevron pattern tile is from a local store in San Jose, CA. Commented: Small bathroom, huge transformationGreat transformation! 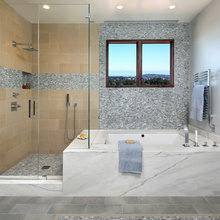 Commented: Which is more important in a master bath?Its a personal choice but I would do toilet compartment. Commented: Final product: Master bath remodelGreat transformation! Commented: paint or stain my wood/ particle board cabinets?Paint!